The best dramas, especially shows centered around cops or spies, know how to combine a weekly mystery with the overall story. Take for instance how Alias closely tied in Sydney Bristow’s spy work into her everyday life, or how even the most basic crimes Veronica Mars solved led her somehow closer to the solution of the season’s arc. When the weekly and the overall combine, it becomes seamless in a way that is impressive in its stealthiness. Yet a full 16 episodes into The Blacklist’s first season, it still feels like two separate, unassociated shows mashed into one. This week’s story revolves around the theft of a device called the Skeleton Key, which can cut through any cyber defenses. As Reddington succinctly puts it, it’s like giving a hacker a nuclear bomb, with freedom to do whatever they please. The hacker claims to be Ivan, a hacker long known for using his abilities against his Russian government, yet now, for the first time, he is using his abilities against on the U.S. This is all a trick though, as it turns out Ivan is being framed by a high school kid with a crush on the daughter of one of the Skeleton Key’s creators. He uses the Skeleton Key to make sure that the girl he likes doesn’t have to move and so he can creepily tell her how much he knows about her through hacking her computer. Along the way, the kid blacks out D.C., accidentally kills a guy and tries to run away on a D.C. metro that in no way looks like a D.C. metro. But in the end, of course Elizabeth Keen stops the boy who has let his crush get out of hand. Yet in the overall story, this couldn’t have less to do with the more interesting season-long story The Blacklist is trying to tell. In fact, I’d be willing to bet if you took out all the crime of the weeks from every episode this season, you could pull together a fairly well done miniseries about Keen and Reddington. Alas, that’s not what we have. But the show’s main story is starting to gain momentum, as Elizabeth figures out finally that Tom isn’t who he says he is, even though Reddington told her that months ago. She puts it all together after being attacked by a man who she doesn’t realize is Tom, then after perusing some crime scene photos, flashes back to all the times she was warned about her husband and thinks, ‘Hey, maybe he isn’t who I thought he was?’ C’mon Elizabeth—catch up to the rest of us. Unfortunately, at this point The Blacklist has found its groove and doesn’t seem to have any interest in combining the stories in a more cohesive way. 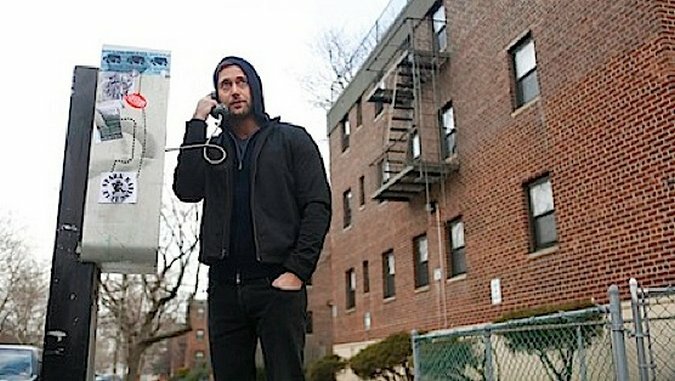 As Elizabeth is likely to try to unearth what her husband has been up to, maybe this will change, but as with most of this season, The Blacklist just doesn’t connect its stories the way it should be doing by now.